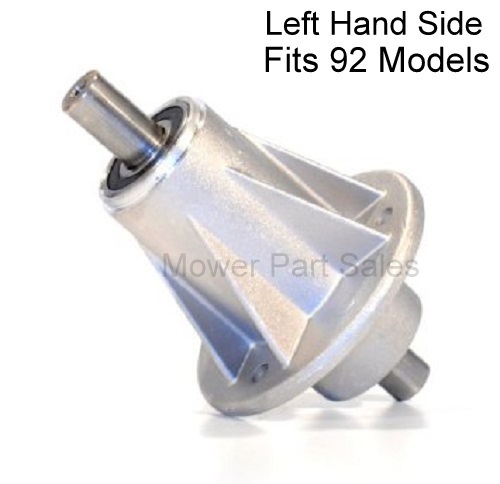 Left Hand Side as when you are sitting on the mower on the 92cm decks models. The 98cm deck models have 2 off these spindle kits fitted so same for each side. Fits the following models listed below, some models may have been missed.